The officer heading up the investigation said the man suffered “a traumatic and frightening death”. POLICE INVESTIGATING THE murder of a 48-year-old man in Co Antrim this week have made a second arrest. The body of Anthony McErlain was discovered in a house in Broombeg View, Ballycastle, at around 8:30pm on Thursday. Detectives have been given more time to question a 33-year-old man arrested yesterday. Officers have also confirmed the arrest of a 50-year-old man, detained yesterday evening. Commenting on the case yesterday, senior investigating officer Detective Chief Inspector Gareth Talbot described the killing as a heinous crime. “While we are awaiting the results of a post mortem, what is clear is that Mr McErlain suffered a traumatic and frightening death,” he said. “The investigation team is extremely keen to speak to witnesses or anyone who may have spoken to Mr McErlain over recent days. 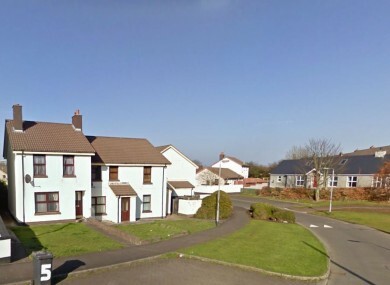 We would especially like to hear from anyone who was in the Broombeg area at any time between 5pm and 8.30pm [on Thursday] and who may have witnessed or overheard an altercation or disturbance, in or around number 4 Broombeg View. Anyone in Northern Ireland looking to contact the investigative team can contact 101 or if they want to talk anonymously they can contact Crimestoppers on 0800 555 111. Email “Second arrest over 'heinous' murder of 48-year-old man”. Feedback on “Second arrest over 'heinous' murder of 48-year-old man”.